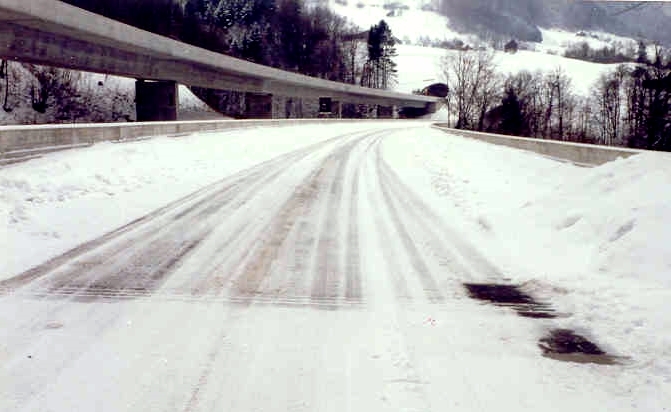 VERGLIMIT is an environmentally friendly, ice - retardant additive for asphalt roads. By mixing it into the asphalt mix for the wearing course, higher traffic safety is achieved, without the need of further maintenance or other ongoing costs. VERGLIMIT has been used successfully in almost all types of hot - mixes: sand - asphalt; hot - rolled - asphalt, cast - asphalt, even in drain - asphalt. Predominantly it is used in standard mixes like asphalt - concrete or " spitt - mastix - asphalt".